League Two Yeovil Town have re-signed striker Francois Zoko on a contract until the end of the season. The 32-year-old forward has scored four goals since signing an initial short-term deal with the Glovers in November. Zoko missed a crucial spot-kick against former club Carlisle as Yeovil lost their FA Cup third-round replay 5-4 on penalties on Tuesday. 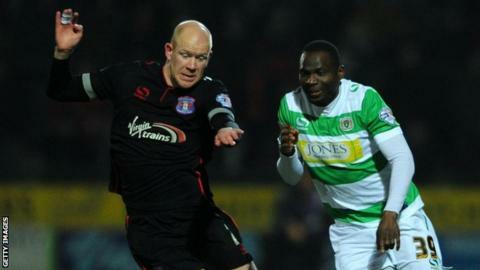 "Francois is a fantastic signing, he's brought a wealth of talent to Huish Park," said Yeovil manager Darren Way.